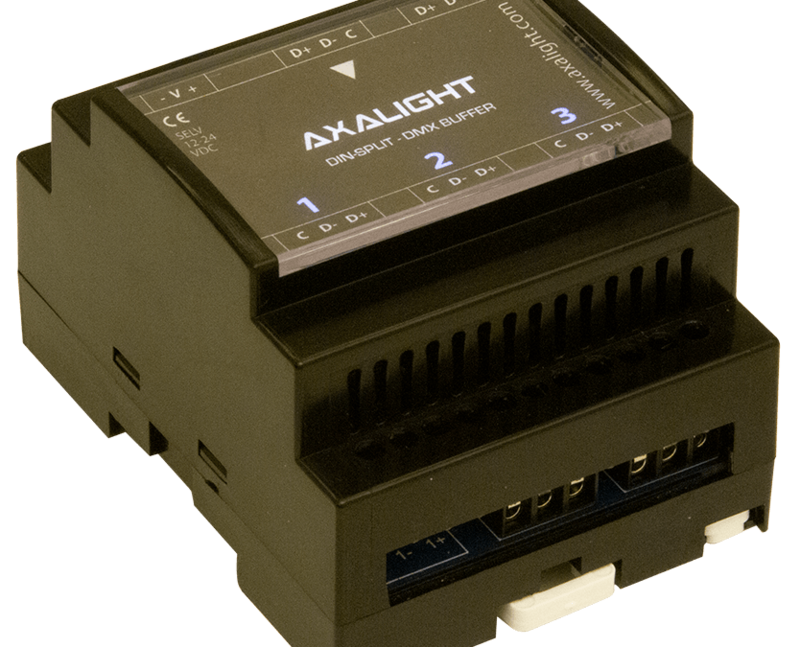 The AXALIGHT DIN-SPLIT >3< is a 3 way DMX splitter/buffer ideal for installation applications requiring DMX distribution in a DIN-RAIL format. DMX IN/THRU with DATA status indication. Three isolated independent DMX outputs with status indication. Inputs and outputs protected against static and shorts. 12-24 VDC Supply Power (SELV). Individual, pluggable screw terminals for each DMX connection. DMX driver ICs socketed for ease of service.